Getting ready to move home gives a great opportunity to have a clear out, getting rid all the things you never use. 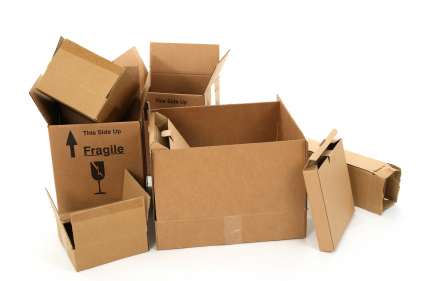 Most removal companies charge by the amount of items you are moving, so why pay for boxes of unused things to be taken from one attic or cupboard to simply be put straight into another? But what can you do with all your decluttered things? Many people simply take them to the local rubbish dump, or put them in a skip but there are lots of other things you can do. You might even be able to not only save yourself money on the move but earn a bit of money in the process! Recycling is something we all do with our rubbish these days, so why not do it with your unwanted belongings? Let friends and family know that you are having a clear out and ask them if there is anything they need. Use your social media networks like Facebook and Twitter to let a wider group of people know what you have up for grabs. eBay is a great way to get rid of almost anything and make some money into the bargain. You can sell virtually anything but it can be time consuming; you have to photograph everything, estimate the postage, create each listing, package everything and then post them. On the plus side, doing all this gives you access to a huge number of potential buyers nationwide or even worldwide. If eBay is not your thing, then Gumtree is another option for online selling. It’s essentially an online local noticeboard – you sign up to your local version and post adverts. Potential buyers then contact you directly and they are also expected to come and collect the items from you. Unlike eBay, there are no fees for a basic Gumtree listing. Car Boot sales are an eternally popular way of selling decluttered junk. If you have a lot of baby items to sell, look out for a local Baby and Toddler sale – these are growing in popularity and let you hire a stall at an indoor venue for a set fee and then you pocket any money you make on the day. They are generally well-publicised and everyone attending will be looking specifically for the types of things you will be selling. If you are not interested in making any money then these are good options for a speedy clearout. These are online local noticeboards where people offer things to others for free. Simply list what you’ve got and then wait for people to get in touch with requests. They will come and collect from you, usually very quickly. Finally, if you don’t have time to arrange any of the above, why not donate your items to a charity shop. You can find them on every high street and you can pick the charity that you want to support.